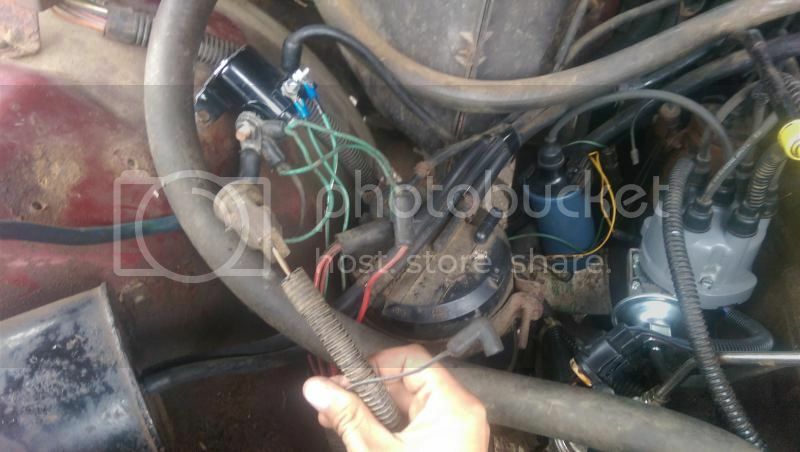 1986 Grand Wagoneer underhood wiring harness? Was having some odd electrical trouble with my 1986 Grand Wagoneer and asked my mechanic to take a look....nearly started on fire for them. Appears to be a shorted under hood wiring harness. My mechanic - "It started smoking from the lights to the firewall". Now, Waggy won't run and no electrical anywhere. Replacement 1986 Waggy under-hood harnesses are unicorn rare and 1986 only(?). So.....What are my options? Rebuild the under hood? New aftermarket harness? p.s I'm aware of the 'Serehill headlight wiring harness'. But, sadly that nice man has passed and these harnesses seem unavailable too. Not sure if that would fully fix my trouble in any case. First recommendation: I would recommend posting a wanted ad in the classified. Someone may have one. I am amazed at what some people have laying around. Heck, I have a 78 front harness handy (won't work for you, though). Second: How soon do you need it fixed? If you are in a hurry, it may be a while. If you have time to fix it yourself; it's time consuming, not hard, and not that expensive to fix yourself (depending on the extent of the damage). The serehill harness would not be an option for you. It modifies an existing harness and only works for the headlights. I think I have a headlight harness for a 87 if that would work. Go take a look yourself, and take some photos, so you can identify what burned. If the portion that is burned or melted or charred is wrapped in electric tape or inside corregated 'wire loom', take pictures and then unwrap the tape so you can see the individual wires and insulation colors. 1986 is the first year for distributing power at the starter solenoid. You'll see a very heavy wire from the battery, and a smaller wire from the alternator both meet there. The battery provides power when starting, the alternator when running. Attached to the same post will be 4 or 5 more wires. Each takes that power to a different place. If any of those are burned away, there was a short to ground and the fusible link went up in smoke, as it should have. Picture from another thread here of the power distribution at the starter solenoid on an '86. Last edited by nograin : 10-15-2018 at 06:46 PM. These harnesses contain fusible links that are supposed to protect the car from a fire in case of a catastrophe, like a wreck. You may have melted the fusible link, or there may be more damage. This is something that will be cheap but time consuming if you can fix it yourself. It's very difficult to own old cars like this without being able to do the work yourself, or having deep pockets. Paying a mechanic to fix it likely will be very expensive. If you want to find a replacement harness, the only source will be a junked car. As mentioned above, you can often get parts from scrapped cars from other enthusiasts - look in the classifieds section here. There are at least a couple Wagoneer-only commercial yards that may have what you need: Montana Overland, and Jake's. I recall Jake's is no longer shipping, so you'd have to go there or send someone to pick up what you need.